While being married to a member of the British monarchy clearly has its benefits, as evidenced by Kate Middleton's wild popularity, it seems that life is just as peachy with a prince as an ex. 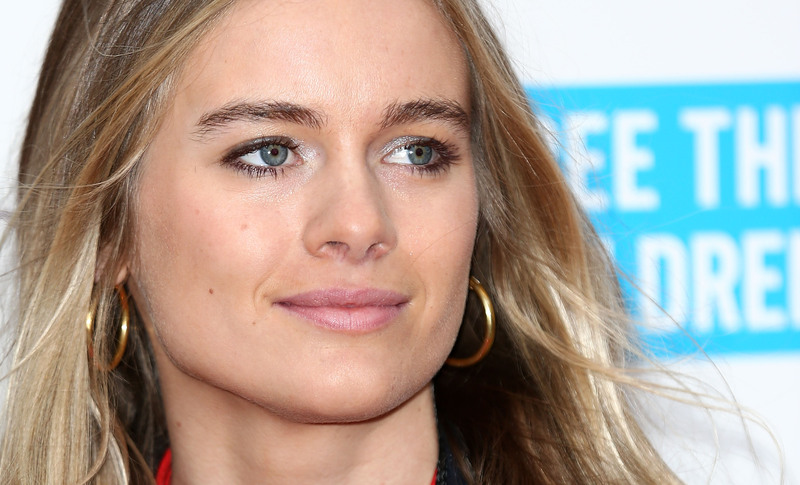 Case in point, Cressida Bonas's video advertisement for Mulberry is a solo performance, and one in which the former flame of Prince Harry appears more than content with her single status. Women's Wear Daily broke news of the brand's project. Designed as part of a triptych to introduce Mulberry's Spring 2015 collection, the short one minute and 45 second video demonstrates Bonas's keen aptitude for modern dance. Clad in Mulberry's bohemian Buttercup maxi dress, Bonas crosses a roped-off platform to ascend a series of grass-lined steps, twirling along the way. On the building's second story, Bonas dances down a makeshift, lawned runway in pursuit of Mulberry's iconic Bayswater Buckle Bag. Bag in hand, Bonas skips down the stairs to the amusement of a lone passerby. Though the dance was choreographed by Martin Joyce, each movement appears organic and spontaneous. Mulberry is renowned for its unorthodox yet endearing ads, as well as its choice of spokesmodels, and Bonas's vibrant performance fits perfectly with the brand's youthful, modern aesthetic. Moreover, it is refreshing to see Bonas demonstrate her dance and acting talents, which the performer refined during her time at Trinity Laban Dance Conservatoire, as opposed to her former incarnations as tabloid fodder (and devotee of scrunchies). Clearly, Bonas can add actress and dancer to her growing list of accomplishments. As for Mulberry fans, it seems that the brand's spring collection is as vibrant and covetable as ever, from embroidered shift dresses and eyelet maxis to the new Delphie purse, a petite shoulder bag with plenty of attitude. I, for one, am actually looking forward to the forthcoming second and third Mulberry video shorts. Who would have thought an ad campaign could be so enjoyable?